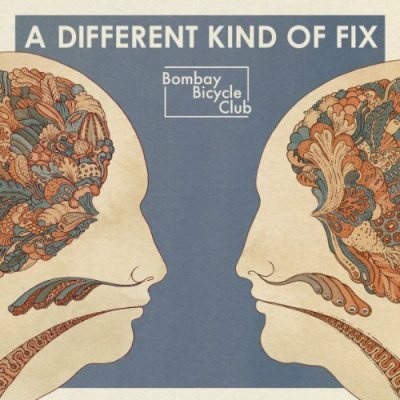 Bombay Bicycle Club’s A Different Kind Of Fix is practically a kick to the head. From singer/guitarist Jack Steadman’s enigmatic charm to the comprehensive sound built from the ground up, the group’s third studio album is a startling collection of work. Everything about the project comes through an honest sense of creativity as A Different Kind Of Fix is bridged together a bit more carefully than Flaws and I Had The Blues due to the London chaps being focused on inflating more life into each verse, chord and ripple of reverb. The end result are songs with character. Whereas the album’s opener is an expected step forward with vocal loops and airy harmonies, “Bad Timing” quivers with dark shoegaze post rock while “Take The Right One” incorporates light picked riffs and a warm melody that almost dusts off a bit of Coldplay circa A Rush Of Blood. Playing with layers has always suited Bombay Bicycle Club, it’s just now, they appear as if they’re more comfortable in their skin to experiment with them. When they go straight into a folk landscape (“Beggars”), maturity barges in, but when they string together a series of sounds with pop appeal (“Lights Out, Words Gone”), it engulfs the chemistry in the room. That maturity however illuminates how Steadman is more intricate with his work and projecting his voice at different volumes and levels, chaining his vocals to the structure of each song. To an artist, that may seem like confinement, but to the ear it makes closing numbers (“Still”) echo with an odd sense of beauty that’s nearly a match to a dreary composition by some band from Abingdon named Radiohead. And to Bombay Bicycle Club, that’s simply a step forward into different territory.